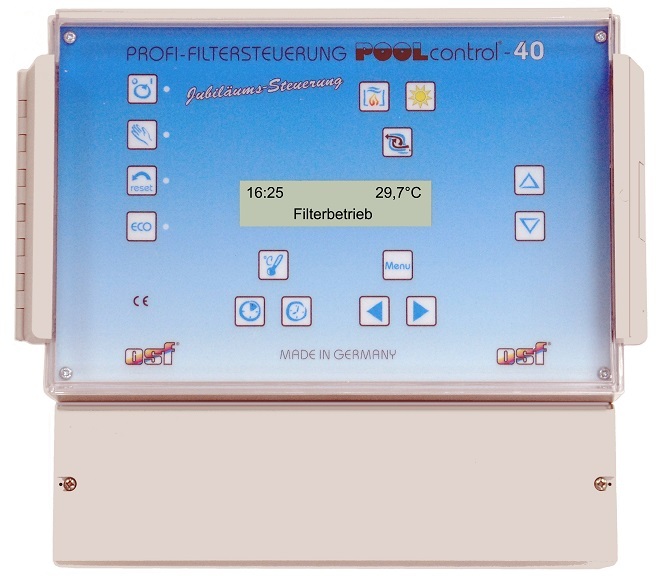 This filter control with internal water-level control can be used for swimming pools with overflow gutter or skimmer pools. 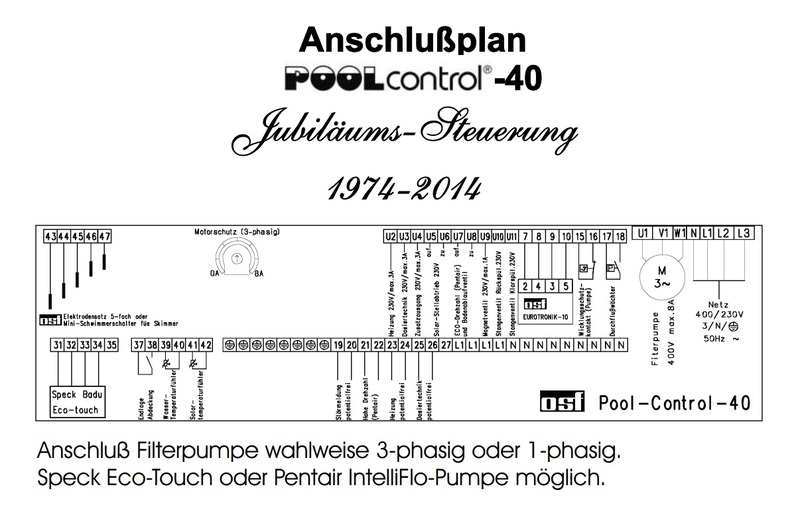 It is suitable for controlling filter pumps with speed-controller (Speck and Pentair) as well as for nun-regulated 230V and 400V pumps. Whilst in ECO Mode, a lowering of the water-level is possible by using bottom drain valve. Included in the delivery is the temperature sensor with 1,5 m cable.